Happy Homemaker Me: 3rd Blog Anniversary and a GIVEAWAY! 3rd Blog Anniversary and a GIVEAWAY! 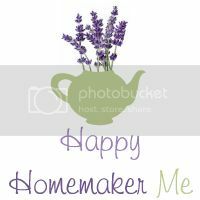 While poking around on my blog last night, I decided to look up my very first blog post on Happy Homemaker Me. To my surprise, I realized that the first post was written exactly three years ago today! So, I decided this is cause for a celebration. Three years of sharing my thoughts with you, three years of recipes, craft tutorials, trusting in the Lord, three years of adventures with my husband, picture posts, and silly tidbits from my students. Some of you have followed all along the way, and some of you have joined my adventures recently. Thank you for your part in my life! It is so much fun to come home and see comments from you and to get to share in life together. As a way of thanking you, I'd like to have a giveaway! One Happy Homemaker Me follower will receive this beautiful Christmas Sparkle Scarf. To enter, simply become a follower of Happy Homemaker Me and leave a comment below telling me: What inspired you to begin blogging? What do you enjoy blogging about? Leave a comment below for each entry you make. Giveaway ends on Wednesday, November 23rd, at 10:00pm. What a sweet scarf, Bethany! Congratulations on your third blogging anniversary! I believe it will be 3 years for me in February. I started blogging as a place to put my ideas down on "paper." : ) I blog about family, history, home, treasure-hunting and road trips mostly. I'm so thankful for all the wonderfully creative folks I've met along the way! Wow, three years! That's awesome :) I'll post you on my Facebook! ps I already follow you on twitter and tweeted about your give-away! (The Little Red Shop facebook automatically tweets my posts) I hope you're having a beautiful day!! And your shop is in my favorites on etsy. I'm a fan of you on Facebook too! 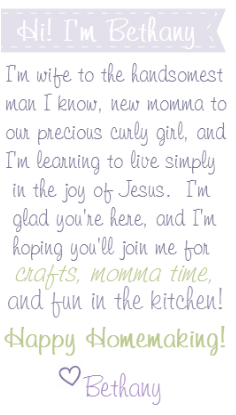 I'm now a fan of Happy Homemaker Me on FB!